After returning from the annual MVP Summit in Redmond, it seemed like a good time to apply the Windows 8 Consumer Preview to a PC. My first selected victim was an old HP NW8230 (circa 2005-2006 vintage), as it seemed to be a good test of Windows 8 to see how well it fared on older hardware. All software runs well on new super-fast hardware; efficiencies and improvements surface when old hardware is used. Up to this point, the NW8230 was running Windows 7 SP1 quite happily (2GB RAM, 120GB HDD). The first step in the upgrade process is to run a compatibility report, which identified that most applications were supported by Windows 8. There were some minor hardware issues (the report indicated that new drivers might be required) with Windows Security Essentials identified as the one major problem that had to be resolved before Windows 8 could be installed. Windows Security Essentials is an excellent (and free) program that deals with the basics of anti-virus and other malware. I don’t quite know how other companies sell similar software for a fee, especially as Microsoft plans to include protection in Windows 8 as part of their Defender application (another nail into the coffin of third-party AV software?). In any case, it had to go now and so it did. Once the PC was ready, Setup launched and did it stuff. The software was downloaded, checks were made, and programs were laid down. For whatever reason, Windows 8 failed to install the first time around. The installation program is capable of detecting failure and reinstalling the previous O/S without intervention. After Windows 7 SP1 was reinstalled, we rebooted the PC and started the Windows 8 installation again, which ran through to the finish without any further problems. Total time, including the download, was approximately an hour. After using the older PC to check out Windows 8 (and noting that the performance was perfectly acceptable despite its age), I decided to install the new O/S on my HP Elitebook 8530w, which is the computer that I use (or rather “hammer”) on a daily basis. This computer ran Windows 7 SP1 Professional 64-bit with 8GB of RAM and a 256GB SSD and it’s done an excellent job for me over the last two years. Of course, before I did anything, I made sure that I had a solid backup. There’s nothing like heading into the future equipped with the comfort of a good backup. Once again, the installation was reasonably smooth, with one small glitch when the installation program announced that it was going to reboot the PC after reaching 100% of installing various files only to spend five minutes or so attempting to access something the DVD. At least, that’s what I diagnosed based on the noise coming from the drive. I took a risk and popped the drive open and the installation program promptly rebooted the PC. All was well upon the restart and the installation proceeded through to the finish. I was pleased to find that all of my applications and settings were preserved. Replete in its awful default color scheme and chunky boxes (does anyone else think that the new start screen appears to have been crafted with some rather think crayons? ), Windows 8 is now humming away. It certainly takes a little bit of getting used to but the human brain can be quickly coaxed into performing tasks differently. So it was with the change from Windows 3.1 to Windows 95 and so it will be from Windows 7 to Windows 8. Windows 8 improves the O/S in many ways (for further detail, see the Windows 8 team blog including this post which explains new concepts such as “charms” – or review the set of hotkeys supported by Windows 8) such as much faster boot-up times. I think I have figured out how the old desktop interacts with the new Metro interface and I quite like some of the applications. The Mail application, for instance, was able to connect to my Office 365 (Exchange Online), Hotmail, and Gmail accounts. First Windows complained that the security policy for the PC did not protect information well enough (password complexity, lock after a period, etc.) 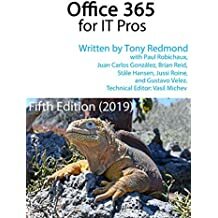 to allow it to connect to Office 365 but it offered to apply the necessary policies and all is well. Unsurprisingly, this application behaves very much like the Windows Phone Mail app and while I wouldn’t give up Outlook or Outlook Web App to use it, the Mail app will provide reasonable access for casual email users. Even though the Calendar application synchronized quickly with my Exchange calendar, I didn’t care much with the layout or color scheme selected for the application. It seemed awfully brash. The People application doesn’t seem to be as well laid out as its Windows Phone equivalent in terms of how the layout displays the feeds from Twitter, Facebook, and LinkedIn. Perhaps it will grow on me. Windows 8 runs a compatibility advisor report before installing the software. This had identified the problem with Windows Security Essentials but two other issues seemed to slip by. The first was with Zune, which was passed as OK but crashed after the installation. The problem was that Zune requires .NET Framework 3.5 to be installed on a PC. My Windows 7 SP1 installation included .NET Framework 4 Client Profile but this didn’t carry across to Windows 8. A quick download and install fixed the problem. The compatibility advisor also identified Twinbox, an add-in that integrates Twitter into Outlook as “remove only”, which I took to mean that I should remove the application as it might cause problems under Windows 8. I decided to leave well alone and so far Twinbox has continued to operate as before. In fact, the only issue I found was with a 2002-era game (Civilization III), which ran a tad slowly until I updated its properties to run in Windows 7 compatibility mode. The lack of problems with older applications is definitely a plus point for Windows 8. I guess it will take time for online services to make sure that they work well with Windows 8. So far I haven’t had a problem with services such as online banking (in three countries) or other financial services. 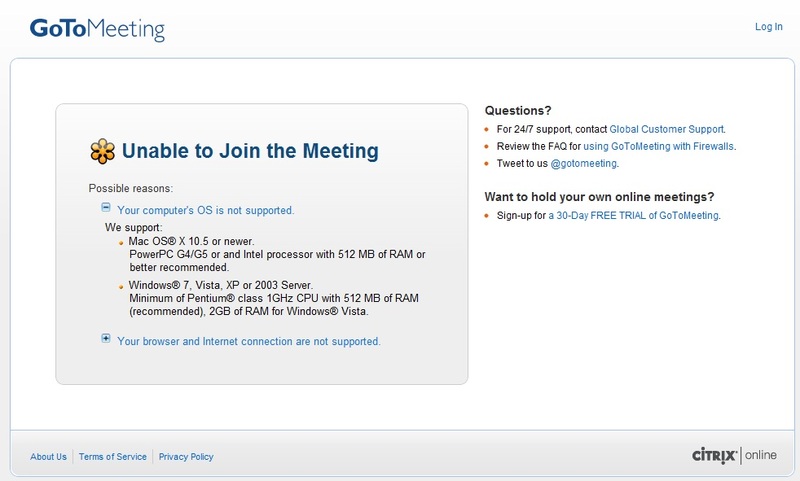 I did run into a problem with Citrix GoToMeeting, which informed me that my O/S and browser combination wasn’t supported! Skype upgraded successfully but caused a few problems thereafter as calls failed to hang up and forced the PC to be restarted to regain access to the application. Downloading and updating Skype with the latest software solved this problem. One thing that I really do not like is the loss of the “Recently used documents” list in the desktop, which I assume is a side-effect of the replacement of the traditional Windows “Start” button with an Internet Explorer icon. This was pretty redundant in my case as I prefer to use Chrome, but it’s easy to unpin the icon from the taskbar. It has been my practice to refer to the recently used documents list frequently to pick up documents or other items that I have been working on, so its loss is regrettable. Pinning frequently used documents to their application (Word, Excel, etc.) helps and right-click on an application icon reveals a list of the last items that the application has processed, but it’s still jarring for a user to be forced to change habits of years because new software removes (or improves in the eyes of the developers) a useful feature. Minor tweaks to the desktop aside, it’s the Metro UI that gets most immediate attention because it’s what Windows 8 displays when a PC boots (you can suppress Metro with this tip or make many changes to the interface). I fully appreciate that this is a radical departure from the previous desktop metaphor that is intended to allow Windows to accommodate platforms such as touch-driven slates more easily and elegantly. My appreciation of the work is growing with experience as well as the vast outpouring of tips and techniques around the world (for example, read the “imperfect view” of ex-Microsoft Distinguished Engineer’s Hal Berenson). Even with its prominence, I don’t spend much time at the Start screen or in Metro applications. Most of my time is spent working in “traditional” applications (Word, Excel, Outlook, PhotoShop, etc.). I assume this situation will change over time as application developers get to grips with Metro and discover how it can add value to their products. I see some good in Metro and I like its look and feel on Windows Phone, where I find it to be a very approachable interface. However, I do have some concern about the application of a radical change of interface to popular desktop applications such as Microsoft Office. I’m restrained about what I can say here because of a Microsoft NDA, so I will keep my comments general and based on the information that’s available publicly today. Perhaps my thoughts are captured simply thus: I hope that Microsoft doesn’t compromise the next generation of applications (including administrative tools) by an over-energetic application of Metro design elements everywhere. It would be a pity if corporate directives forced software engineers to introduce an interface that prevented companies deploying new software simply because the change is too difficult (and ultimately expensive) for users, support teams, and training departments to handle. Microsoft already experienced problems with the introduction of the infamous “ribbon” in Office 2010, but I think that Metro has the potential to be even more disconcerting than the ribbon for the average user. Of course, it’s early days yet and Microsoft will rightly point to the fact that all software goes through multiple iterations before settling into a final form. The screenshots and other indications of current Metro-style implementations for applications probably don’t accurately reflect what the final form will be. User interface designers will tweak layouts, fonts, and sizing based on internal and external feedback. I hope that they fix some issues that concern me such as the allocation of too much white space on screen and the subsequent loss of data that can be displayed in the remaining space. Perhaps maximizing the effective display of data is more important in administrative interfaces rather than user-centric programs. I can certainly appreciate that argument. On the other hand, I’ve heard some observers complain that Metro-style interfaces are almost blinding (emphasized to make a point, no doubt) because so much white space is used. I also dislike the use of capitalization for menu choices. For years, the convention has been to move away from ALL CAPS to an elegant mixture of initial capitals followed by lower-case letters for elements such as options presented to users. Now we see Office offering options such as VIEW and FOLDER. It all seems so mainframe-like, a return to the past, and very much like as if the application is SHOUTING to gain attention. Again, it’s early days yet and I’m sure that the folks in Redmond will make many improvements between now and the final ship date for both Windows 8 and the applications that will run on the new O/S. I’m sure too that I’ll get used to whatever design elements are deemed to be most suitable for my consumption by the powers that be. This entry was posted in Technology and tagged Metro UI, Windows 8, Windows 8 Consumer Preview. Bookmark the permalink.